"Find the offer that suits you"
Do not know where you accommodate in Cluj? 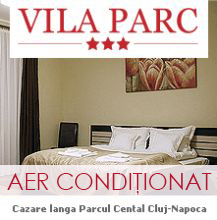 CazareClujNapoca.ro help looking for the best accommodations to suit every pocket, providing your most important units and offers of accommodation in Cluj Napoca hotels, guesthouses, cottages and other facilities in the hotel or near accommodation Cluj Napoca from the cheapest to the most demanding. CazareClujNapoca.ro site was created to provide the hotel offers each guest there Cluj. Moreover, you will find directions for each unit of accommodation, both in terms of utilities, and exact location on the map Cluj. 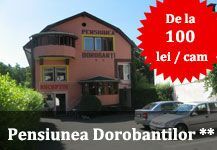 Prices, pictures and contact details are updated and provide you with special offers other types of accommodation in Cluj. Easier to reach the desired accommodation, come to your rescue with advanced search by price, type, number of stars or areas. 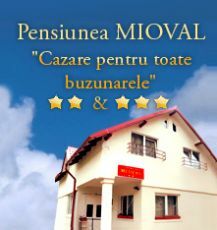 Among the most important areas of Cluj, we selected accommodation near historical center of the city, downtown, hotel near station - Bus, accommodation near major hospitals in Cluj, Iulius Mall and Polus Mall near, Exp accommodation near Transylvania, Cluj accommodations around (near Cluj) or other important areas.